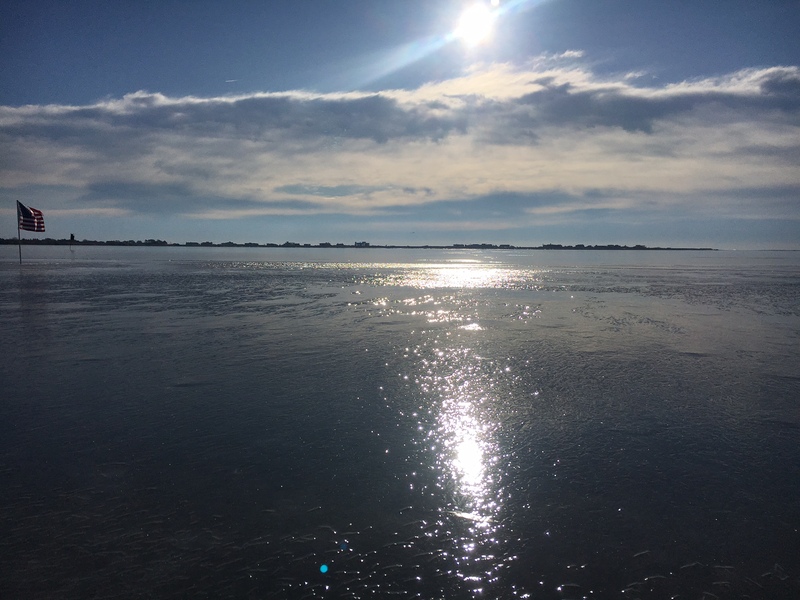 Not sure if the butler brought out the champagne today, but we here in snowbound Maine certainly raise a glass to toast the fine sailing today on Mecox Bay in Southampton. Warren Darrus with the Skeeter I C Fun, one Arrow, one Gambit, one Mini Skeeter #33 Rolling Rock, and a bunch of DN’s showed up. 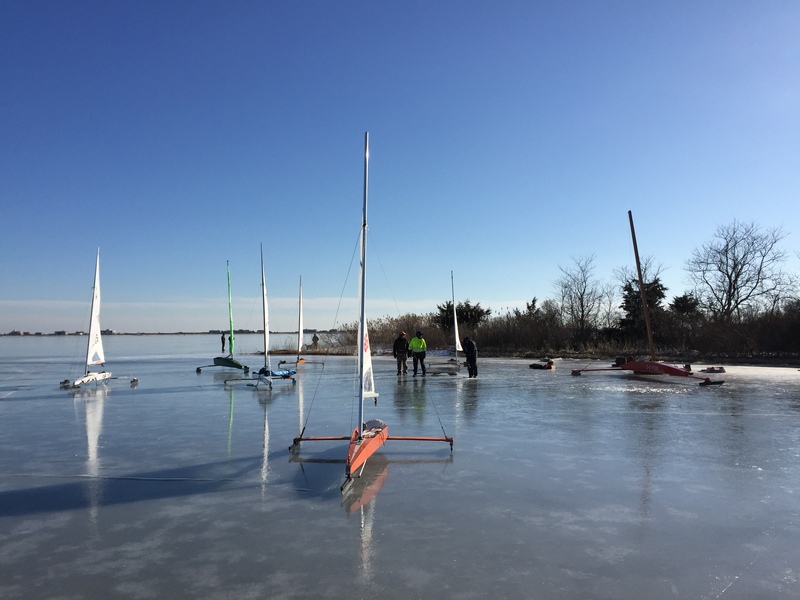 Fifteen boats are on the ice tonight and plan to sail as long as conditions hold. There is a warming trend in effect there, but today the winds were brisk and the ice is hard. Just over the far end is the Atlantic Ocean. Chris Miller scouted this fine plate and took the photo. Rain in Maine not expected ’til Tuesday; what a pain. Thanks for the email Bill. Mecox Bay is where I sailed my DN. I was from the neighboring town of East Hampton until I relocated to Brunswick four years ago. We could take the ferry across and cut the driving time. WOW! Grew up there- sailing EVERY winter. This is wonderful to see. Thank you!! Will p.s. scenes from kittenhood Still have the Scooter. What with the interest in Kitewing, I might be open to a “proper” home for this boat- built 1918 and in great condition . Cypress on oak with a new cane mast and sail rig. Thoughts?